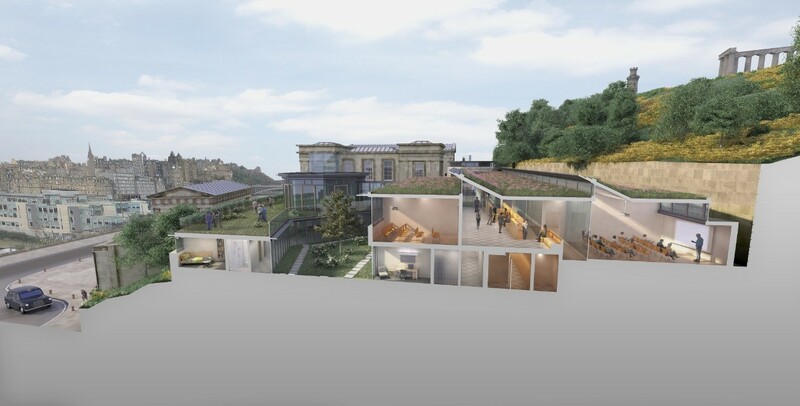 A fresh series of perspectives illustrating the impact of a planned makeover of Edinburgh’s old Royal High School have been published by the Royal High School Preservation Trust. I don't get it. Access is convoluted, architecture owes nothing to context other than 3 odd octagons plopped around to reference roof forms. Best thing you can say is at least you won't see it from the road, but don't like the view from the hill - feels like a slick engulfing one side of the school. Also don't get the argument that an elitist school and pay for performances of elitist music is somehow more accessible to the public than an elite hotel and an overpriced high tea. I don't think the Hoskins proposals include slapping a socking great big hole in the front of the building with a massive steel beam over it to create a new entrance do they? I know Murphy specialises in designing buildings where the entrance isn't obvious but what's wrong with the old front door/s? It's a classically designed building and the entrance is announced by being stuck in the centre, Murphy struggles with that concept! I agree with the point that a music school will be less accessible to the public than a hotel. Hoskins design isn't quite there yet but it's a huge improvement on the first proposal and it's not far off being acceptable. Accusations of a conflict of interest relating to James Simpson's position at Unesco were denied but it still appears Simpson and Brown have withdrawn from the team. Urban Realm, can you confirm? I can confirm Simpson & Brown are still involved in the project and are continuing to work in close collaboration with RMA. Urban Realm - thanks. So they've not withdrawn, but their involvement must be being played down as they don't seem to get a mention in any of the recent press releases. Gareth Hoskins - modify the west wing of the hotel plan a bit and you're home and dry. 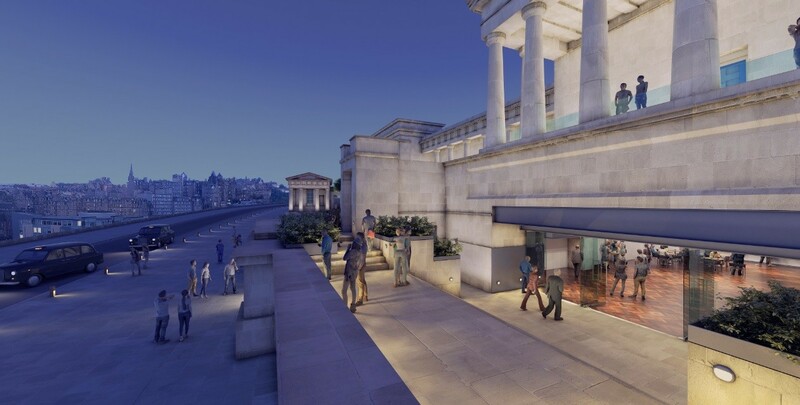 The hotel plan leaves the Royal High exterior largely untouched - Murphy's plan slaps it round the chops with 'statement architecture'. Yet Simpson seems to think this is more sympathetic to the building! Really? #7, sadly not. Council rejected it under pressure from conservatives (big and small C variety. Cue wrangle over contracts and eventual fortune being spent on this mishmash for use by just a few kids. Incidentally, the current annual school fees of £24-33k per kid are largely met by government subsidy. When the schools got the upkeep of this thing as an overhead how high will fees go then and how much will we all be paying in subsidy then??? BFG, I don't think you have even looked at the rival proposals have you? Statement architecture it is not. 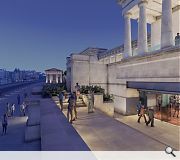 Thankfully despite best efforts from some loud mouth SNP and Labour cultural vandals on the Planning Committee the hotel was refused. 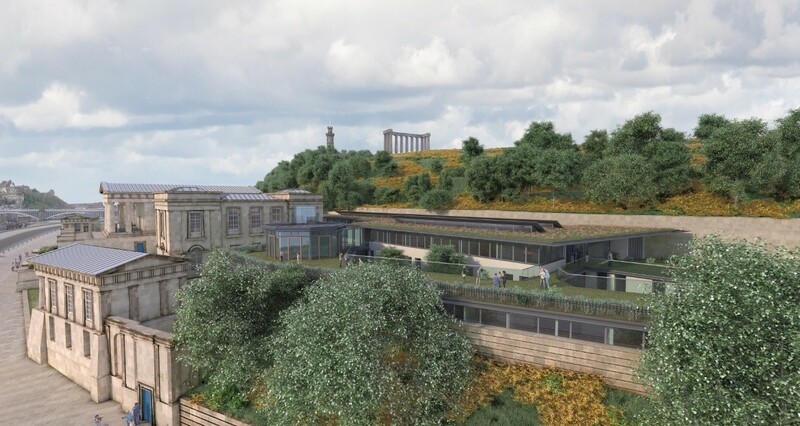 Edinburgh has made plenty of Planning mistakes in the past and it is about time sensible decisions based on design, setting and scale are made rather than "wider economic benefits to the city". CADMonkey. And yet only two months ago you said this about the hotel design. I think the CGI artist has made a few artistic license decisions, but on the whole not bad. 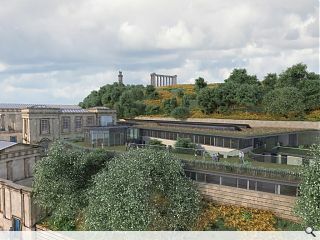 I can barely believe the swathe of new granite and sandstone public realm works will happen. (e.g. look what was promised and didn't happen at Charlotte Square). I think it has been added to the CGI to show the proposal off to its best. Fair and square." #9. Been on the website, seen the plans, elevs and fly throughs... Didn't say 'statement', said nothing to do with context in its architectural expression. Fly though of arrival sequence is painful despite the big slapping. #9. But was it not also refused by four Labour and two SNP councillors? My first impression was that this was a lot better than the first go. I went to the exhibition and was quite impressed, taken in. However on reflection it became pretty clear that this would seriously compromise an important Iconic building. (And I don't use that word lightly). to an unacceptable degree. 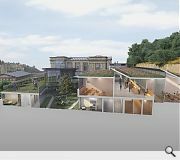 With a much more appropriate use and architecturally sensitive solution waiting in the wings my view has changed. Imagine we went through life not being allowed to change our minds!